All of these make sense to me accept the final chart showing the effects of perturbing the vol of vol, $\nu$. The more pronounced smiles at any given maturity are fine, I get those. 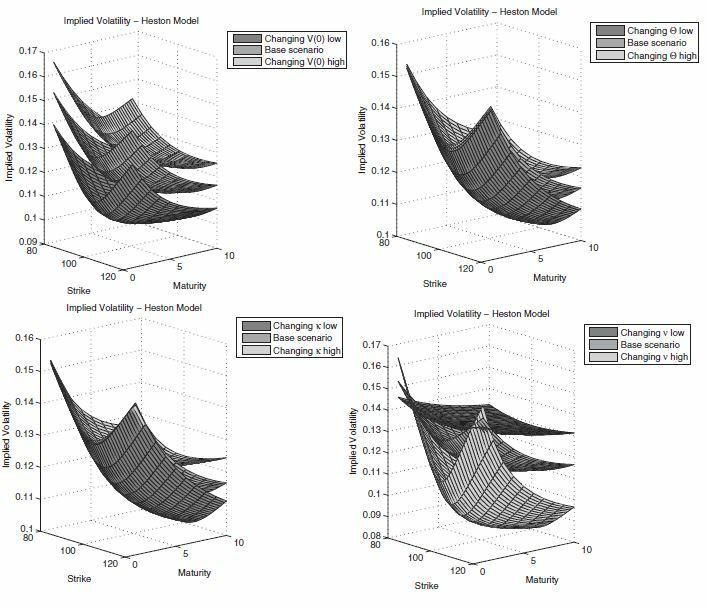 I may be missing something obvious, but how does a higher vol of vol, all else equal, lead to declining option prices as we extend the maturity? Maybe it would help you to think of it the following way. Now, you seem to be OK with the fact that when you increase (resp. decrease) vol of vol in Heston, the convexity of the IV smile at any given maturity is expected to increases (resp. decreases). When you decrease vol of vol, the convexity of the smile decreases. Because $\sigma^2(T)$ needs to stay the same however (you did not change $v_0$, $\theta$ or $\kappa$), the ATM volatility level then mechanically needs to increase so that the integral of vol in strike space remains the same. When you increase vol of vol, the convexity of the smile increases. Because $\sigma^2(T)$ needs to stay the same however, the ATM volatility level then mechanically needs to decrease so that the integral of vol in strike space remains the same. Not the answer you're looking for? Browse other questions tagged stochastic-volatility heston calibration volatility-surface or ask your own question. What is a canonical reference on calibrating the Heston Model? How to derive the change in portfolio value as given by Gatheral in The Volatility Surface?